Alexandra Bee Blog: Thoughts for Thursday & A Winner! 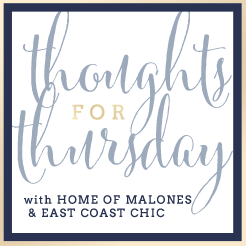 Thoughts for Thursday & A Winner! Yeah, yeah, yeah...I know it's not the weekend for all of y'all, but, for me, it is and it's the start of a very exciting weekend! Today, I am heading to Charleston for Caroline's bachelorette! I can't wait to celebrate with her all weekend and can't believe her big day is just over a week away. Be sure to stay tuned on Instagram to see all the fun festivities throughout the weekend! Here we are celebrating her engagement last summer! In other news, I thought I would link up with Annie and Natalie today for Thoughts for Thursday. 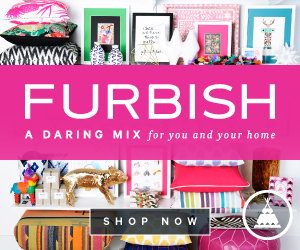 I've had all sorts of random things to share with y'all lately and thought today would be the perfect day to link up. First up, I met my good friend, Bobbie Lou, for Endless Cheese & Chocolate at the Melting Pot last night and had so much fun! For just $20 you get all the cheese and chocolate you can eat! It's a great deal! 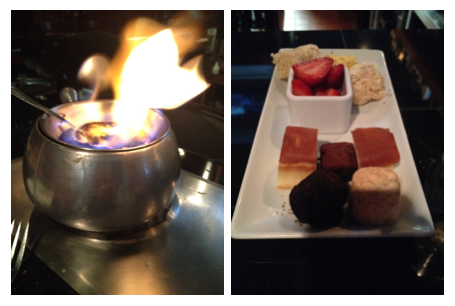 This s'mores chocolate fondue was amazing! They also feature half priced cocktails and The Yin & Yang is my fave! In other news, I am beyond excited to see Bryce on Sunday. He has been gone since LAST Monday, on multiple, back-to-back trips. He's coming home today, however, our paths will not cross, because I will have already left for the bachelorette by the time he gets home. Two weeks is way too long to be apart, so I am beyond ready to see him Sunday! While he's been gone I've been watching lots of girlie movies on Netflix: The Importance of Being Earnest, Jane Eyre, and Mansfield Park. The Importance of Being Earnest was so cute and my favorite of the three. I recently came across this article "How not to say the wrong thing" and thought it's advice was really valuable. 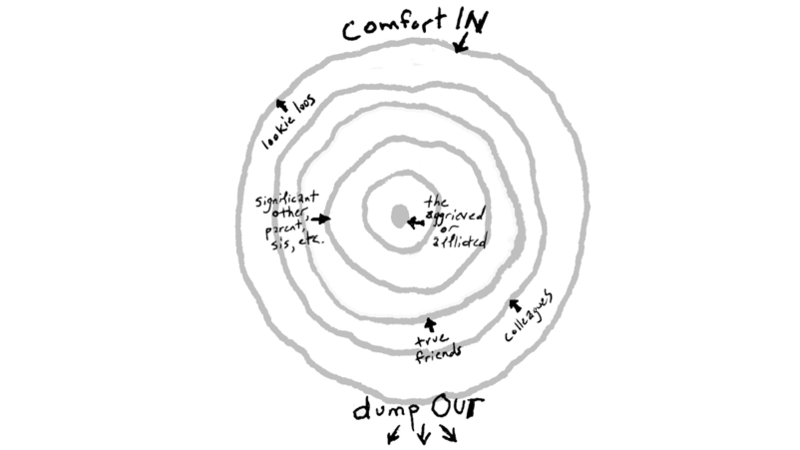 The idea is that when dealing with some sort of crisis or tragic situation, you only say comforting things to those closer to the center of the issue, negative is only allowed to those further from the center. 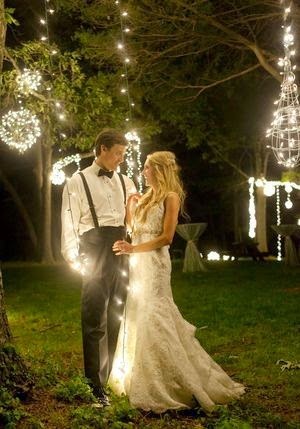 See my post on this picture perfect wedding here. 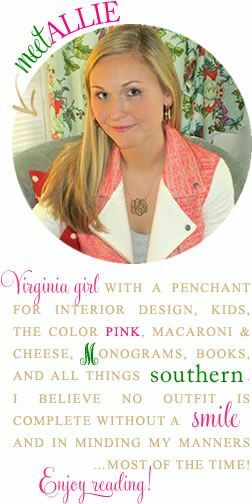 And finally, I am excited to announce that the winner of my giveaway is Kristen, otherwise known as the Playground Prepster! I hope she will love her necklace and bracelet as much as I am loving mine. Thanks to everyone who entered! I've especially been loving my bracelet stacked with my Bourbon & Boweties bangles! What random thoughts have been going through your head lately? Yay!!! Thank you so much!! I'm so excited!! Two weeks is way too long to be apart - but hopefully all the fun this weekend will take your mind off it just a bit! And the text is so sweet - I'm so impressed Bryce knows what eyelet is! I watched Mansfield Park too - I was a little shocked how different it was from the book! Thanks again!! i ate at the melting pot & ordered the same ying yang drink. isn't it amazing?? ahhh so excited for Kristen as that stack is absolutely adorable!! so glad to have you linking up with us today! I'm jealous of your bachelorette party in charleston because I have been craving both a trip there and a girls weekend away!! 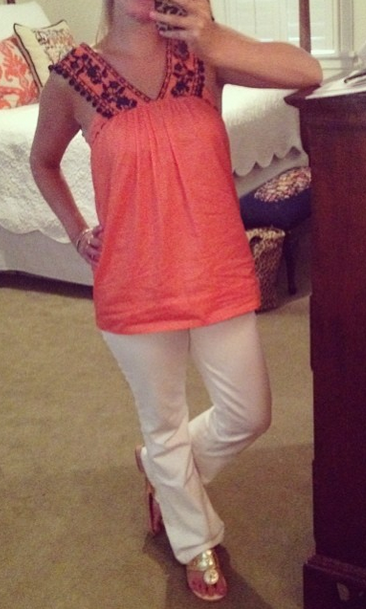 That Jcrew tank is too cute on you! Hooray for PP! That is exciting! I loved your ensemble. Such a great top. Welcome to my town! Have fun this weekend!! Have a good time in Charleston - that's where I live! :-) That yin-yang drink looks awesome! Found you via Thoughts for Thursday! What a great deal at the Melting Pot! Also, thanks for sharing the advice of how not to say the wrong thing; that seems pretty useful! Have a lovely weekend, and when you return, enjoy your time with Bryce. :) I am always bummed when my husband is out of town, but it's nice to fill it with fun things like Jane Austen! and what have you been thinking about school/work? any changes? Oh my gosh, that is so precious of Bryce! Yay for bachelorette fun and finally seeing your man again on Sunday!! !